We make the Donkey size Sawbuck Pack Saddle with all the same features and out of the same high quality oiled, work harness leather as the standard size Sawbuck Pack Saddle. The breast collar & britchen are lined with soft chap leather. All straps are edged with plenty of holes for adjustment. 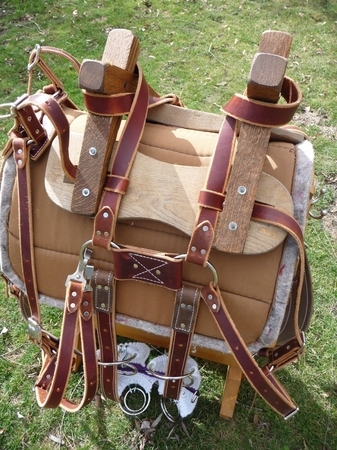 We use roller buckles and add 4 buckle covers on the straps that are attached to the britchen. We use nickel plated steel hardware. The pack cinch is included in the price of the pack saddle, please specify the size when you order (in the commment field). The pack pad can be purchased seperately. 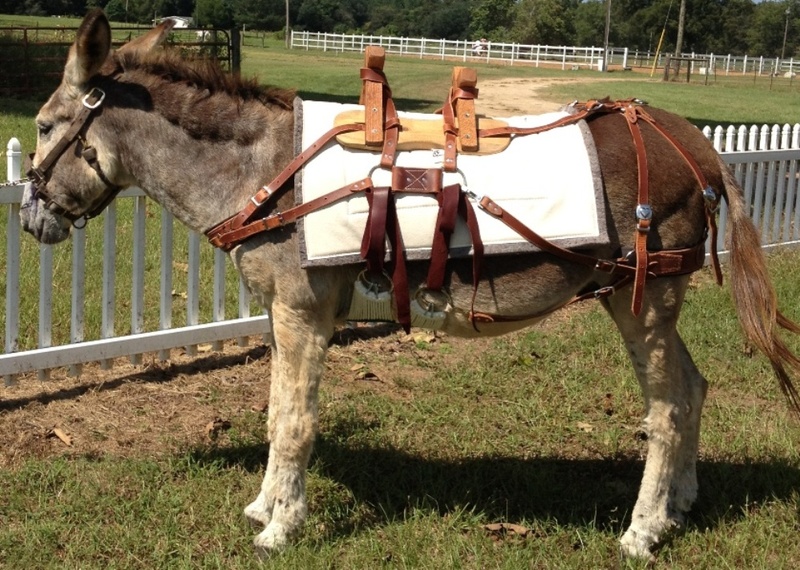 All donkey pack saddles are custom made, according to your specifications.